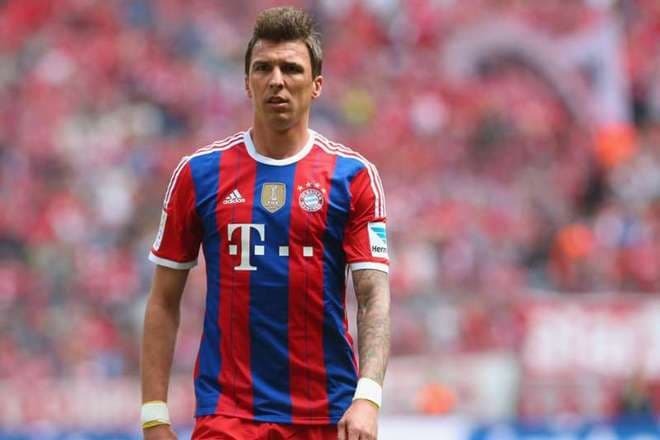 Mario Mandžukić is not an ideal football player. He does not like the strategies when the entire team comes close to the penalty area. Mario prefers to dominate the attack. At the same time, he demonstrates the impressive performance, good speed and, what is more important, the desire to win trophies. Mario is Croatian. His homeland is Yugoslavia. 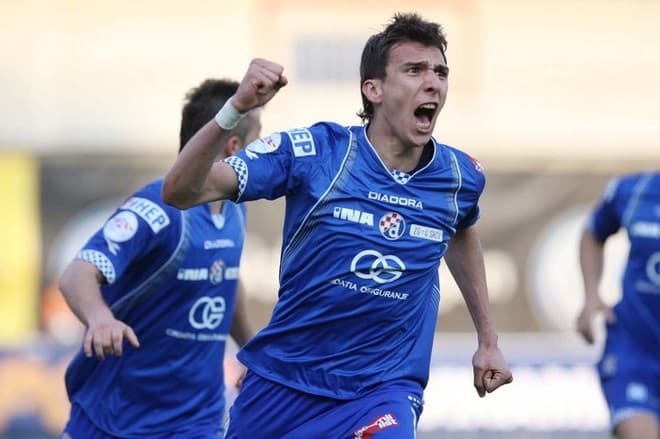 The footballer and his sister were born in a major industrial center of Slavonski Brod. The family moved to Germany because of the war that engulfed the country in 1992. The boy's father, Miču, was a football player. In a new place, he had to play football professionally to make a living. The son went with his father to training and gradually joined the football school. After the family did not get a residence permit, they returned to Croatia. Mario began to play for the local club Marsonia. In total, he played in 23 matches and scored 14 goals. The first major club in the career of Mario was NK Zagreb, where the talented player moved in 2005 and played for two seasons. Miroslav Blažević was Mandžukić’s coach. He led Croatia to the bronze medals of the 1998 FIFA World Cup and also trained Davor Šuker. Later, the Croatian Dynamo saw a powerful attacker with the height of 190 cm and weight of 85 kg as a substitute for subtler Eduardo da Silva. The forward played in 112 games, made 36 assists, scored 53 goals, became the best scorer of the season and played in the FIFA Champions League. 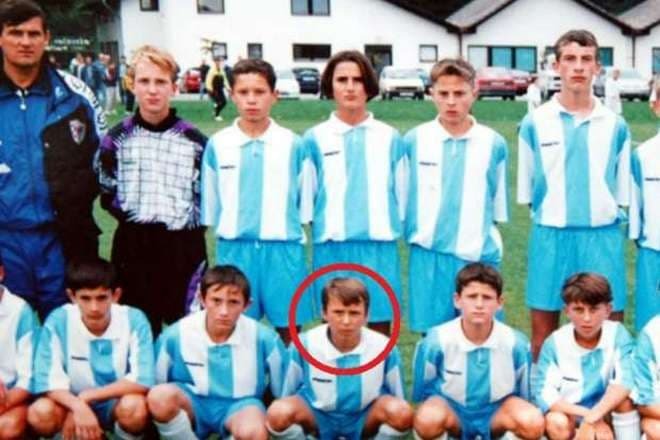 Besides, he won the Croatian First Football League three times and became a close friend with Luka Modrić. In 2010, the club sold Mario to Wolfsburg for €8 million. Playing for the Wolves, the Croat won the title of the best scorer and player again. At the UEFA Euro 2012, Mandžukić scored the sixth fastest goal against the Republic of Ireland national football team, beat Gianluigi Buffon, and before the end of the tournament Uli Hoeneß invited him to Bayern Munich. According to the official site of the Munich club, the transfer fee was € 13 million. Thanks to two Mario’s goals, Bayern defeated Borussia Dortmund and won the German DFL Supercup. Later, the sports biography of the player added two Bundesliga titles, the FIFA Club World Cup and the DFB-Pokal Champions titles. The conflict with coach Josep Guardiola influenced Mandžukić’s transfer to Spain. Former coach Jupp Heynckes gave Mario the final role in the attack, and Guardiola began to change the usual strategy making the player use the style of Tiki-taka. When Robert Lewandowski joined the team, the striker completely stopped feeling that he was necessary. As a result, Mandžukić joined Atletico Madrid and found full mutual understanding with Diego Simeone. Mario scored 20 goals in 43 games and won the Supercopa de España for the Spanish club. In 2015, although there were three years until the end of the contract with the striker, the club had to choose between Mandžukić and Antoine Griezmann. They chose the second player. But the Croat reaped profits too because his childhood dream came true. Mario was sold to Juventus for € 19 million. Together with the Old Lady, the Croatian footballer won the Serie A and the Coppa Italia three times, won the Supercoppa Italiana and reached the FIFA Champions League final. In the League final, the forward scored the best goal of the season. Mario only did not like that Massimiliano Allegri decided to change his position and deploy him as a left winger. According to El Mundo Deportivo magazine, when Mario played in Bayern, Barcelona negotiated with the forward’s agent about his transfer. However, the Catalans invited Mandžukić only as a reserve player, in case anyone was injured, or to refresh the team with new blood. But the head coach was dissatisfied with the player, while Bayern president was not going to transfer Mario during the season. Paris Saint-Germain also considered the transfer of the Croatian player along with the Milan footballer, Carlos Bacca, to strengthen the line of attack. But Juventus did not take the proposal of the French club, because Mario played in the FIFA Champions League. Moreover, the club sold Simone Zaza and Alvaro Morata, thereby weakening the attacking line. In 2016, London West Ham United Football Club became interested in Mandžukić. The British thought that the footballer’s playing time would be reduced after Juventus purchased Gonzalo Higuain for € 94 million. Moreover, at that time, Mario’s compatriot, Slaven Bilić was the coach of the Hammers. Chinese Tianjin Quanjian F.C. made the sportsman an equally tempting offer. The team leadership from the Middle Kingdom offered Mario a contract for four years with a salary of € 32 million. The club also claimed his teammate, Nikola Kalinić, but Juventus refused. However, Allegri showed excellent abilities to deploy two stars who had a personal conflict and create a real penetrating force. The fact is that Mandžukić and Higuain had different tasks. The first one played closer to the attacking line, and the second teammate waited for a deflection. The football "god" saves Mandžukić. If Marion got injuries, they were not severe, and he was not out of the action for a long time. In 2017, during the Serie A, the attacker injured the gastrocnemius muscle, and he injured his back in a collision with Daniele de Rossi from Roma. A year later, at a similar championship, he injured the hip during training, and during the match against Inter Mario "sacrificed" the shin, and doctors put in 10 stitches. 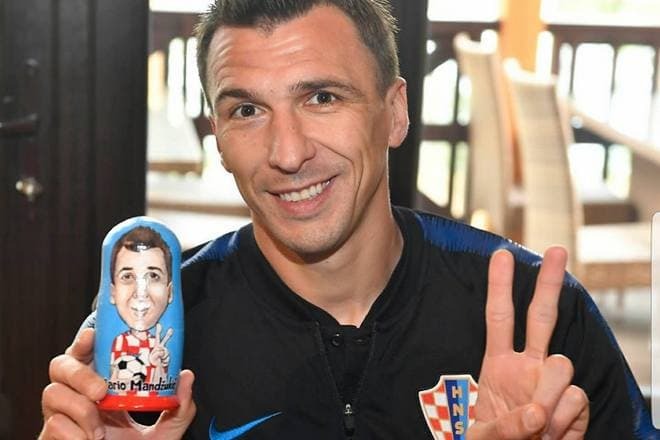 Mandžukić has an excellent sense of humor and absolute privacy of his personal life. He does not like interviews. Mario’s girlfriend is often confused with his sister because he occasionally posts photos with her on Instagram and Twitter. The athlete does not have an account on Facebook. The football player's common-law wife looks like his sister, and her name is also Ivana. It is known that the girl is Croat. Mario loves dogs. There is information that when the striker lived in Croatia, there were six dogs in his house. Nowadays, a pug, Lenny, entertains Mandžukić. At the 2018 FIFA World Cup, Mario has not scored during the group stage for in the Croatian national team. However, in a playoff game against Denmark, Mandžukić scored an equalizer and Croatia defeated Denmark on penalties. Shortly before the start of the tournament, Turkish media reported that Beşiktaş J.K. became interested in the attacker of Juventus and the Croatian national team. The Turks hoped that Mario would agree to return to the position of the center forward and encourage the transfer of his compatriot, Darijo Srna, a defender of Shakhtar Donetsk. Milan is ready to compete with Beşiktaş. "The Red and Blacks" are choosing a substitute for Nikola Kalinić. 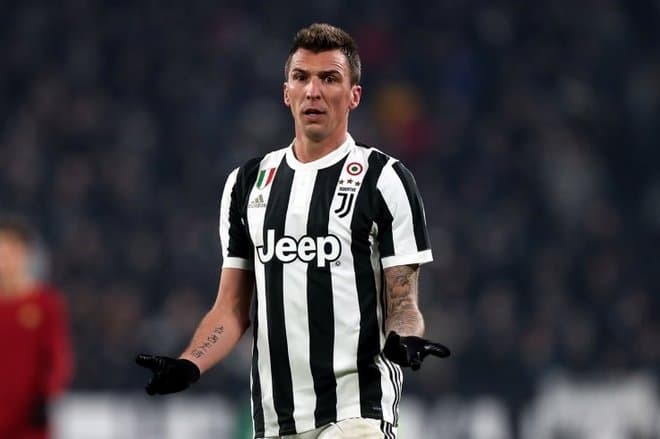 After the end of the 2018 FIFA World Cup, Mandžukić will have to decide whether to accept the invitation from Manchester United and switch places with Matteo Darmian.